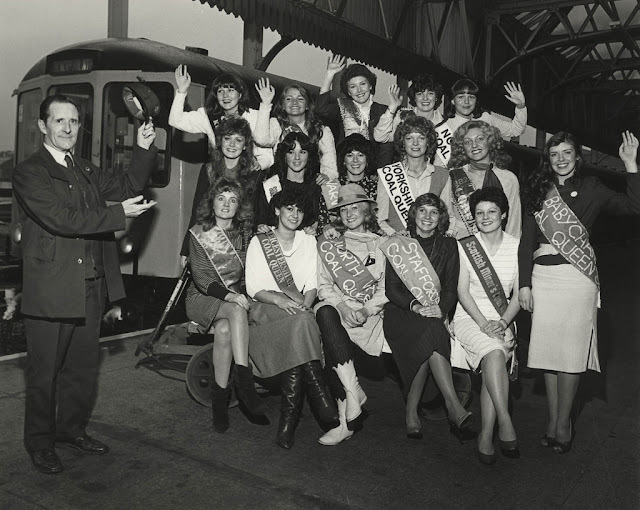 The Coal Queen pageant was a tradition that ran until the 1980s within mining communities. Coal Queens could be the wife, sister or daughter of pit workers and would be crowned each year at local miners’ picnics or carnivals. The competition added a touch of glamour and femininity to the heavy, dirty and gritty nature of their work. 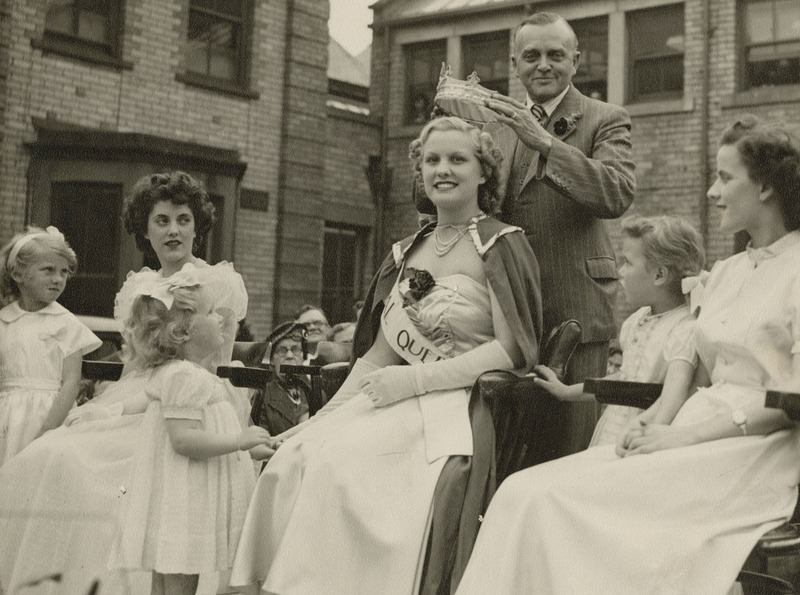 These vintage photographs explore the tradition and history of Coal Queens, their place in the local community and the fashion of the times in which the competition took place. These photographs are from the collections held by Northumberland Archives. 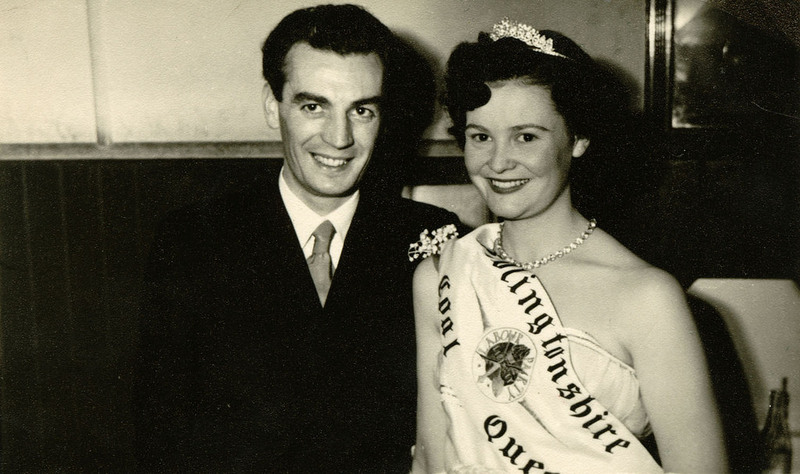 This is a photograph of the Bedlingtonshire Coal Queen Gillian McNair, with her fiancé Cyril Richardson in 1954. This is a photograph of Frances Cogan, the former Miss Brenkley Colliery. 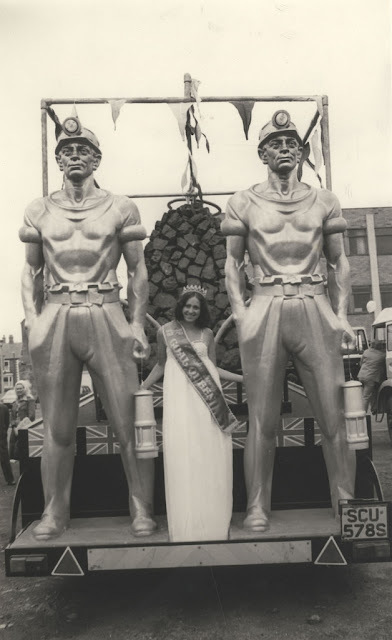 Frances was crowned Northumberland Coal Queen in 1978. 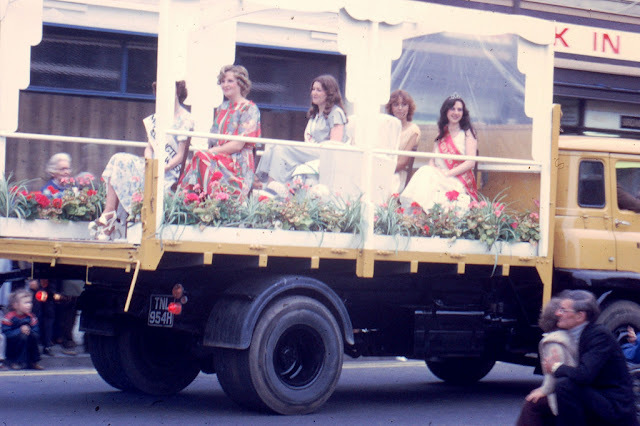 This is a photograph of Coal Queens being paraded on a float at the Northumberland Miners’ Picnic held at Ashington, 1979. Pictured in the centre in blue is the Picnic Queen and to the right in the red sash is the Northumberland Coal Queen. This is a photograph of the opening of the new colliery baths at Ellington Colliery, Ellington, 1982. Northumberland by Deborah Bramley, The Northumberland Coal Queen. This is a photograph of the regional Coal Queens posing at a railway station for the National Coal Queen final at Blackpool in 1982.